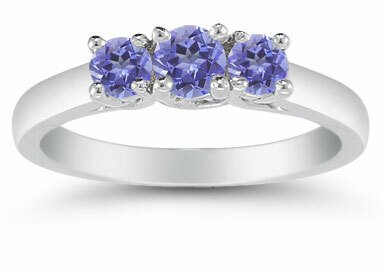 A trio of tanzanite gemstones is just the ticket to dress up your jewelry collection. The allure of light violet color is unbeatable in this three stone combination. The center tanzanite stone is round cut and measures 4mm, while the side stones, also round cut, weigh in at 3.5mm. Their lovely purple color is matched well with the white gold setting, which features four prongs to fasten the tanzanite gems safely. A white gold band continues the contemporary look with an outstanding lustrous finish. 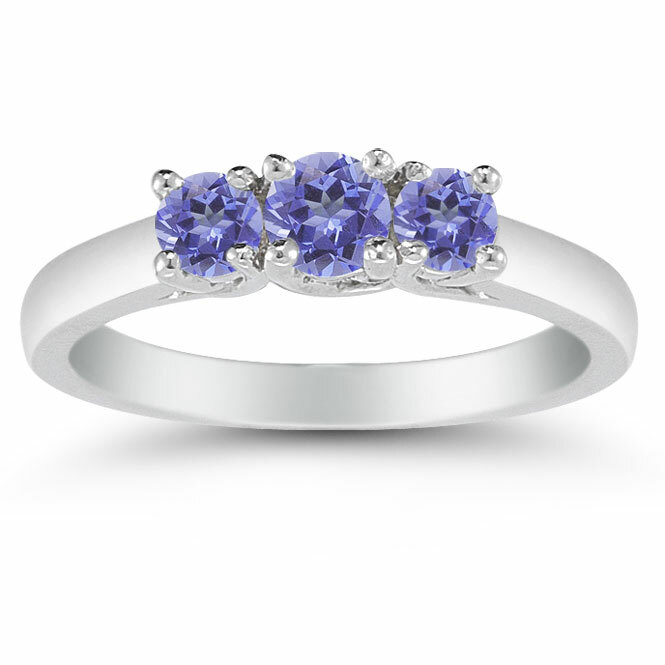 We guarantee our Three Stone Tanzanite Ring, 14K White Gold to be high quality, authentic jewelry, as described above.